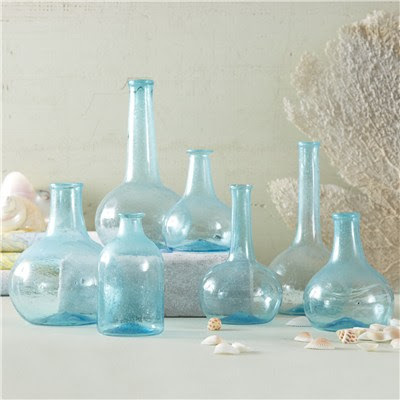 In a range of shapes and sizes, this Set of 7 Aquamarine Decorative Bottles can be arranged in a group or scattered around a home. Their bright aquamarine color resembles the ocean; the small imperfections and variation in shape and size are natural characteristics of hand blown glass. $185. Buy here. 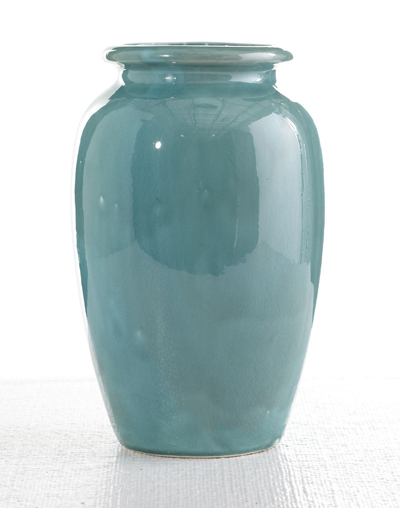 Rendered in translucent turquoise glass, this Indra Vase has fresh appeal. The narrow neck holds stems upright, creating lovely bursts of blossoms. 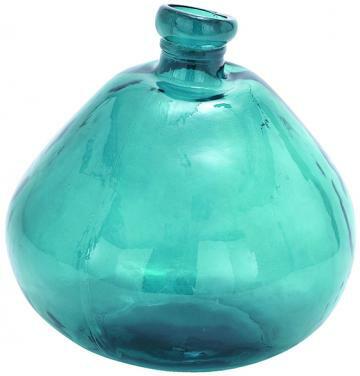 You can also leave this glass vase empty and let its vivid color do all the talking. $53. Buy here. 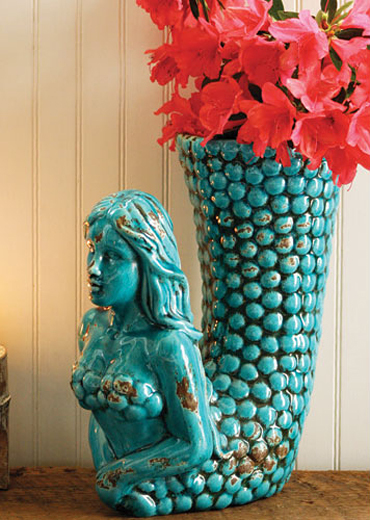 A beautiful twist of old and new make this Kalalou Turquoise Ceramic Mermaid Vase a timeless piece to own. $74 Sale $54.36. Buy here. This Potter’s Collection Urn was crafted with traditional pottery-making techniques by potters working to keep their art form alive. The one that reaches your home is like a miniature work of art you can use to hold flowers or to provide a little pop of color all its own. $69 Sale $39.99. Buy here. 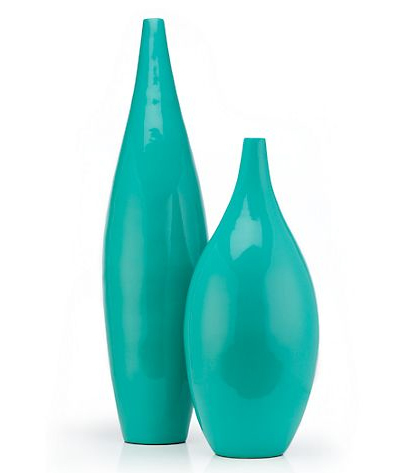 Infuse bold, saturated hues into your home with the Aurora Vases. Handcrafted from paperpress, ensuring lightweight durability, each vase has been hand lacquered for a glossy smooth finish. $59.95-$69.95. Buy here.